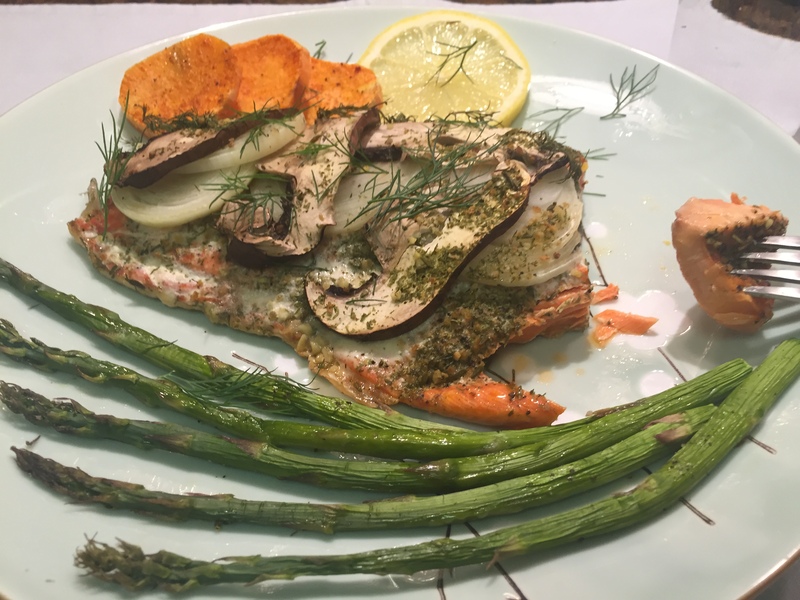 I got this recipe from a local fish market sales person Dave. 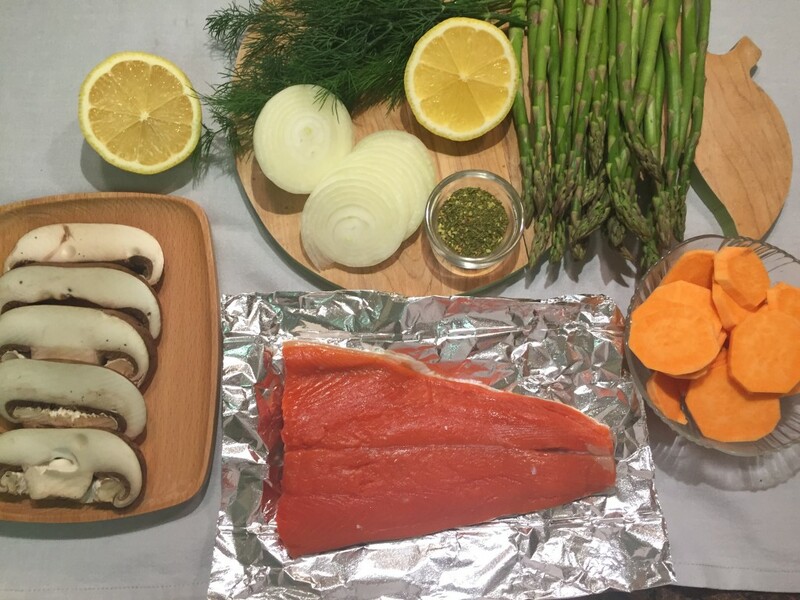 What you need is fresh wild salmon, onions, mushrooms, fresh dill, seafood seasoning, and a sheet of foil. 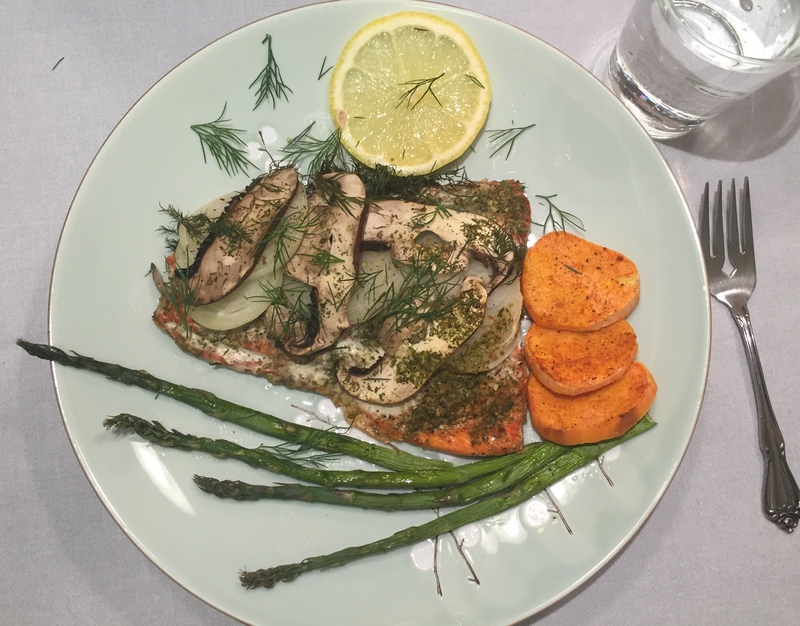 Then, I added a few strings of asparagus, roasted sweet potatoes and I served it with a glass of Pinot Grigio for a delicious Sunday dinner. Bon Apettiet! On a sheet of foil place the fish, sprinkle with lemon juice and season with spices. 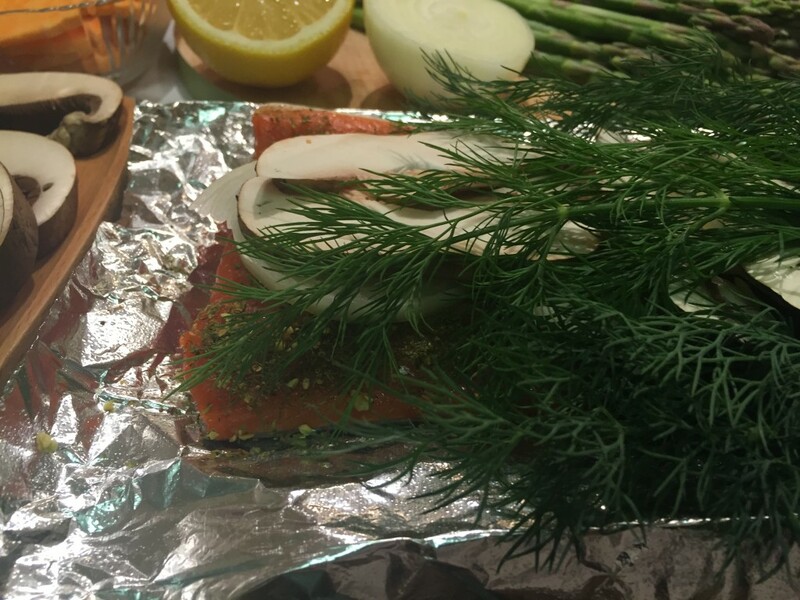 Next, place on top on the fish sliced onions, 1/4 cup of the mushroom and dill, cover with foil and put in oven. 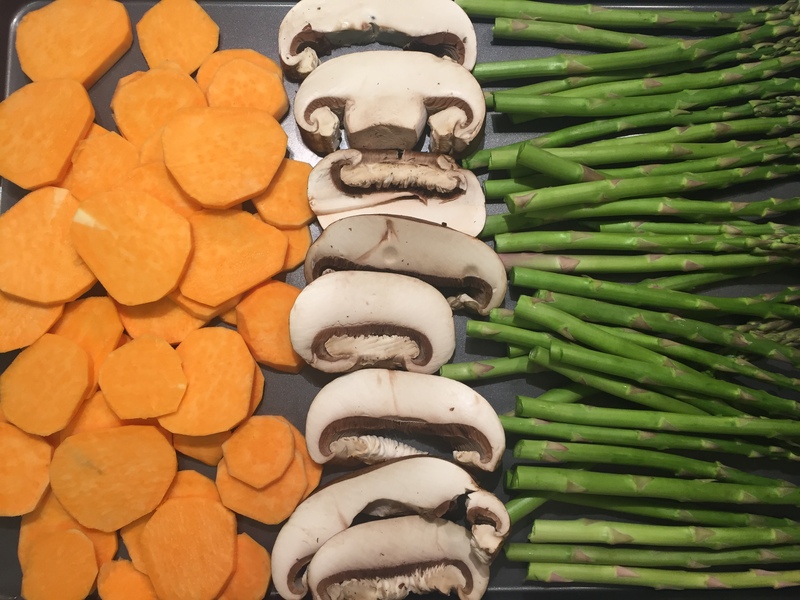 For the remaining mushrooms add sliced sweet potatoes and asparagus, then drizzle with olive oil and season with salt, pepper, and paprika. Bake everything at 400 degrees for 15-20 min. Bon Apettiet!